I am REALLY sorry for all the delays recently. I've been super-busy. I'll try and get back to 2 updates a week. I just recorded the next two chapters today. I like this music a lot. (Yara) That castle looks interesting. Ill take a closer look. Long ago, this was a grand fortress. To see it reduced to this state is almost tragic. Yara transformed and dropped in. But her arrival did not go unnoticed. (Gimm) A Dragon! A real Dragon! Ha haa! Oh praise be yours and this glorious day! Before Yara could say anything, he ran up the ramp proclaiming the arrival of a Dragon Knight. There was a small community of people living in the ruins. (Gisele) The time is near: once more we will bask in his glory. (Beornia) The king of the skies will soar free and burn those who imprisoned him. May such be the fate of all Dragon Slayers. What will you do when you see him arise? I shall fall to my knees and swear my allegiance! I will join you! Then we prepare for the great feast! Finally! Lord Orobas shall be freed! He shall reward you beyond your wildest dreams. There was a strange man pacing around a glowing hatch. (Jedediah) A Dragon Knight! A real Dragon Knight! Oh, I always knew the day would come! Bow now! Bow before the Dragon! 1 cuts off dialogue, 3 is not in Yaras character. There is no need to bow before me, friend. But we must! We crouch down in reverence for the Ancient Ones. We have been waiting for almost five decades and now you are here, ready to free our lord! Our master is the Dragon Knight Orobas, who ruled the Orobas Fjords. But after the Divine was killed, the Slayers came. Those brutes tore down his home, our place of worship, but he hid in his sanctuary that is sealed by Maxos magic. What can you tell me about Orobas? He is our sublime Lord, the very epitome of the might and splendour that is the Dragon. Long did he rule the Orobas Fjords, fair of judgement, grand in stature. A time of prosperity, of long, golden days. And look at his lands now! Creeping with imps, festered with goblins, terrorised by wyverns and patrolled by some Champions who can hardly manage these threats. If only the old days of Orobas could return, great knight! (-210 XP) Jedediahs mind is filled with images of Dragons blurred into a phantasmagorical vision of reverence in which the towers of Dragon Cliff Castle stand more prominent than anything else. Talana, could Orobas still be alive? but I would not get your hopes up. It has been nearly fifty years. Do you know where to find one of the Old Race? Perhaps he might. Its all I have to go on, so Ill take the chance. How can I free Orobas? To open the hatch that leads to him, we need things only you can provide. Outlawed Drudanae, the spirit leaf, to let me speak the Draconic charms. The Chalice of the Dragon, the holy artefact, taken away by foul lord Arben. And finally a drop of your blood, red water from the river of power. 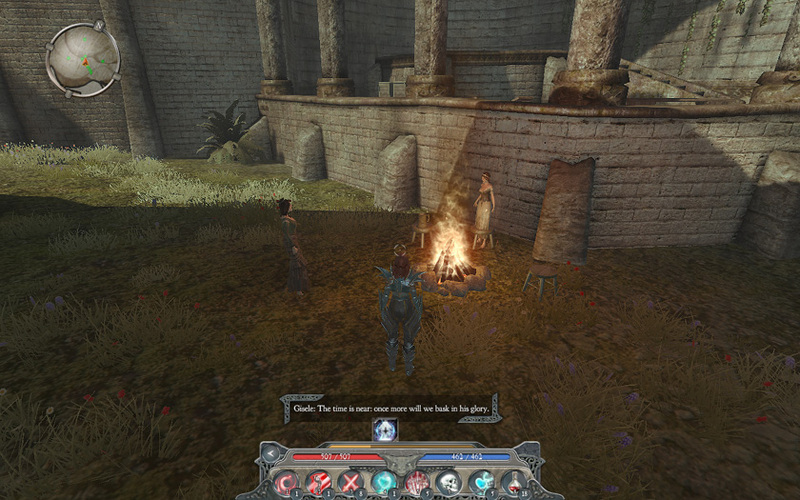 So you met Lord Arben once? Agh, would that my ears were deaf to that name! He and his so-called Slayers spouted hell over out community. Everything burned amidst the screams of the dying. They hacked away at the men and spared not the women. Savages, not Slayers  thats what they really are, O great Dragon. Jedediah must have been just a child growing up in the castle of Orobas. He saw his parents slaughtered. That, Dragon Knight, is the true face of the Dragon Slayers. They are the real monsters, not the Dragons they hunted down. I am sorry for what happened, but that was before I was even born. I have left my Slayer life behind me. 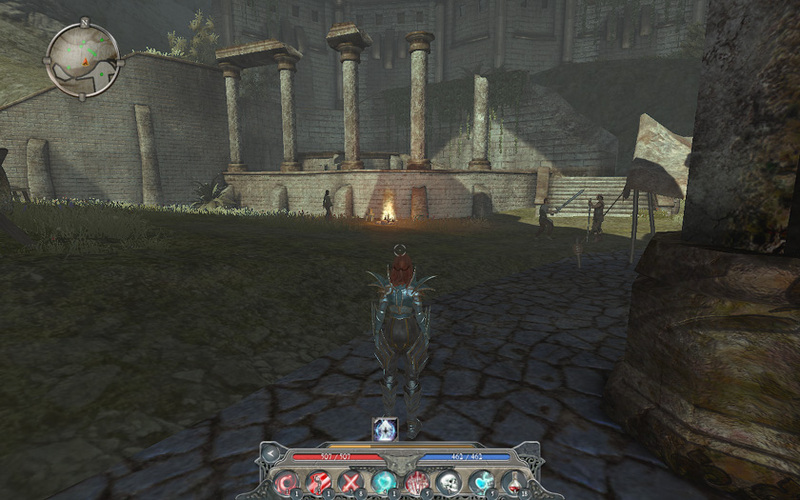 I am a Dragon Knight now. Where can I find this Chalice of the Dragon? When the Slayers took it, they brought it to their camp here, among the fjords, and displayed it as a trophy. Youll find that filthy piece of land near the Champion fortress, where theyll tremble under your majestic wings. Where am I supposed to find Drudanae? Its quite rare now, kind master, because it was dubbed illegal a long time ago. They had experiences with it in Aleroth, something about addicts, murder and vampires. They still tell those old tales of the Divines past even today? The only place where it grows in the wild that I know of is around High Hall, a small mountain retreat. 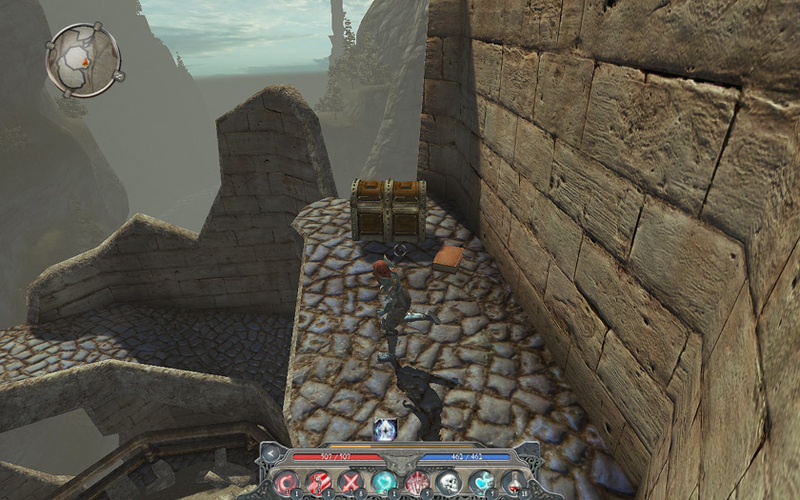 The spell used to seal the hatch falls under the domain of the Dragon Mage. Only the blood of the Dragon may break it, blood that flows through your noble veins. It is why Lord Orobas could escape the Slayers, but also why he was trapped inside. I bow before your might, master Dragon! If I get the time and the chance to restore Sentinel Island, maybe I should take these people there to build a community. But that is dreaming of a distant future, and it can wait. The quest to crack open Orobas bunker has two sub-quests: Chalice of the Dragon and A Puff of Drudanae. 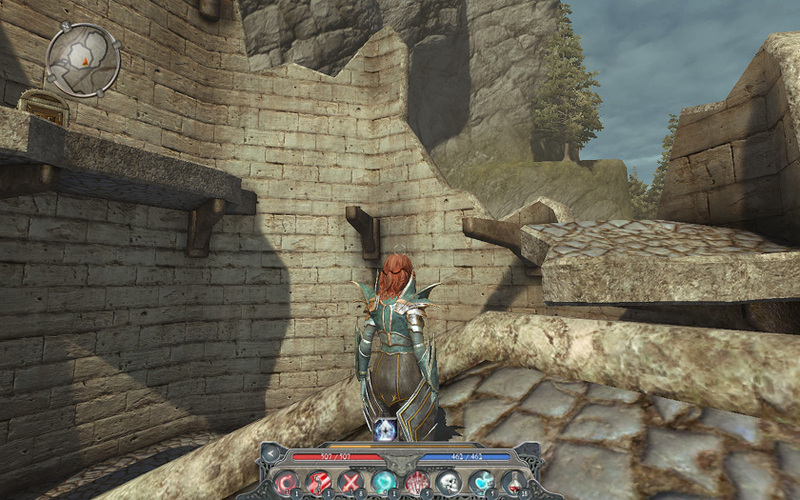 The Chalice of the Dragon will involve going back to Champion Harbour and following the boardwalk to the Slayer camp. 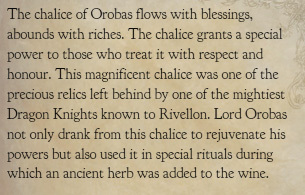 There we have a choice of methods for retrieving the Chalice. A Puff of Drudanae requires us to visit High Hall. 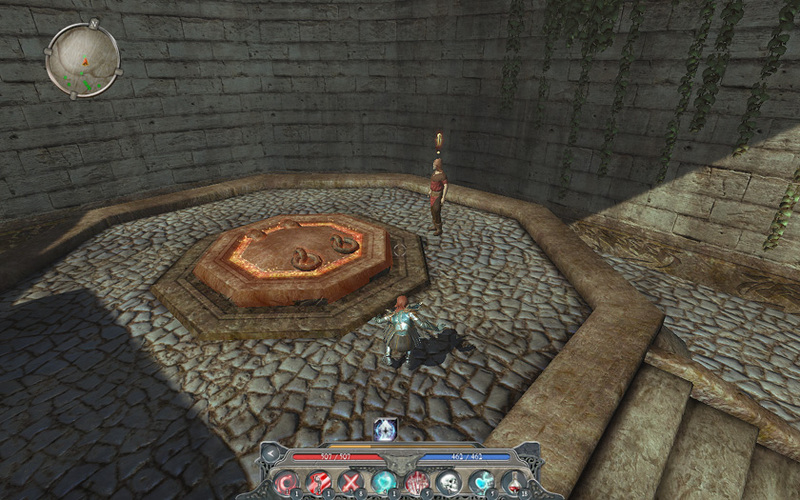 The reference to Drudanae is a reference to Divine Divinity. It was a narcotic herb used for treating sick people. There, a former healer named George was addicted to Drudanae, but he knew a secret about his supplier Tutamun  he was a vampire. When George couldnt pay anymore, he threatened Tutamun, who then murdered him. Drudanae was not made illegal after that, it was already illegal to possess before then, except for legitimate medical purposes. (Artemas) You are most welcome, mighty Dragon! May I interest you in some of the things I sell? How can one make a profit here, among the ruins? I trade with my fellow worshippers, but I receive gold from the Champions. Yes, Champions do sometimes come here. Though the hated Slayers frown upon it. They pity us, yes. Think were all half mad, if not completely bonkers, hahaha! I cant say that similar thoughts havent crossed my own mind. 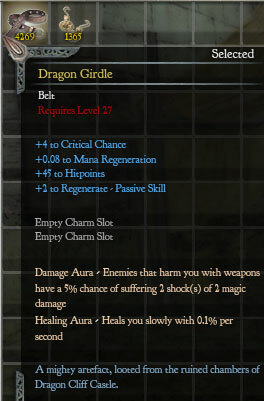 But they know the value of some of the Dragon items we offer: found among the ruins of Dragon Cliff Castle. It is their gold we use to buy necessities in High Hall and sometimes even in Aleroth. I wonder what else might be found in the ruins? A clue to where other Dragons may be found, I wonder? (-840 XP) Smile upon me favourably Ouroboros, god of Dragons, and upon Orobas, my kind master, now and in the afterlife. Show me your wares, then. 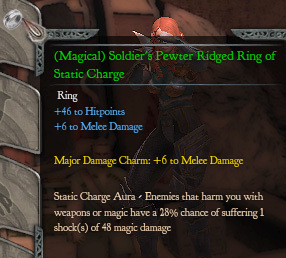 Artemas sells only two Unique items. One is the Dragon Girdle belt. I need a new belt, so I got this, even though itll be a while before I can wear it. 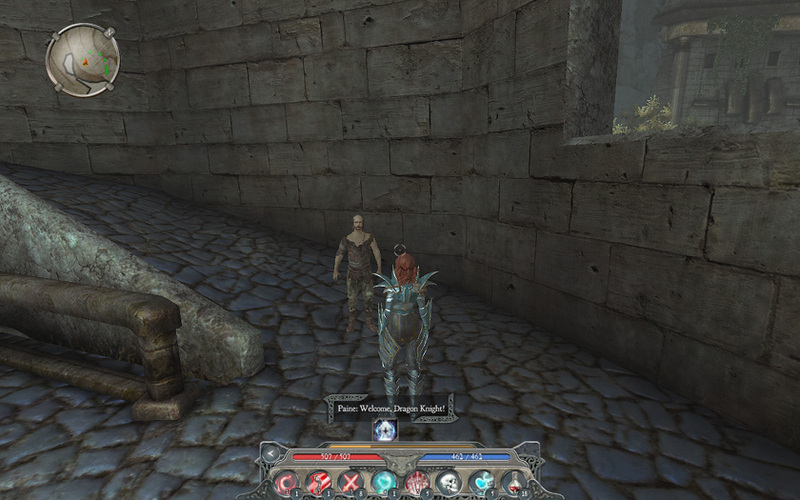 I picked up a couple other things which had useful enchantments. 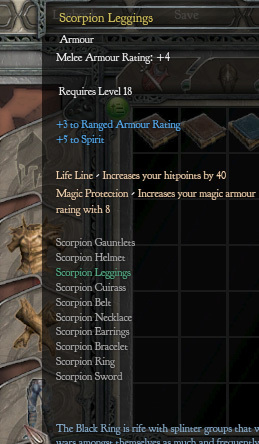 The other item is the Scorpion Cuirass, which Ill need for my set. I cant wear it until I level up again. 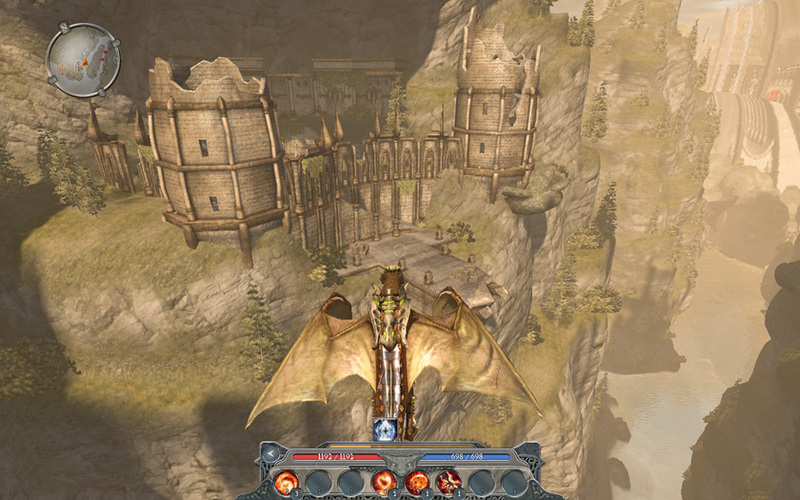 (Tobelisk) Welcome to Dragon Cliff Castle, Dragon! Enjoy your stay while it lasts! (Markthum) Hey, Dragon! Ye really going to free Orobas then? 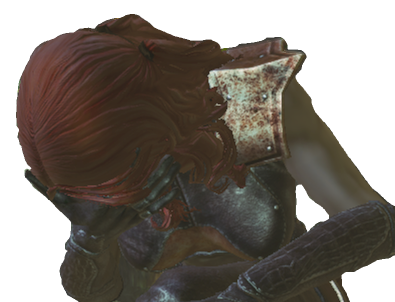 Cant ye shoot a wyvern for us or sumthin? ye are a real Dragon Knight? No, I just happen to be able to turn into a Dragon at will. Ah, yere kidding arent ye. Funny. Me names Tibus. Me and me lot are Dragon worshippers, jus like the others ere. Weve been waiting for one of yer kind for a long while, ye see? Why are you all waiting for a Dragon Knight? Cause we need a Knight to free Orobas, I mean Lord Orobas, from that catacomb hes in. How is your little group different from the rest here? Me and the lads came ere only after Orobas was trapped in that cave. Just wanted to show our support as t were. No offence, but you dont seem as educated and respectful as the other people here. I mean, its probably cause were not from the same region, ye know? (-210 XP) Just ye wait, Dragon, well show ye whos the strongest. Do you actually have something against Dragon Knights? What? No, no, why? Were here to worship ye, not kill ye, hehe. I think Ill check out those towers. (Paine) Welcome, Dragon Knight! Long have we waited for one such as you! The key will see use in the other tower. Yara headed to the second tower. Good thing I can balance well. 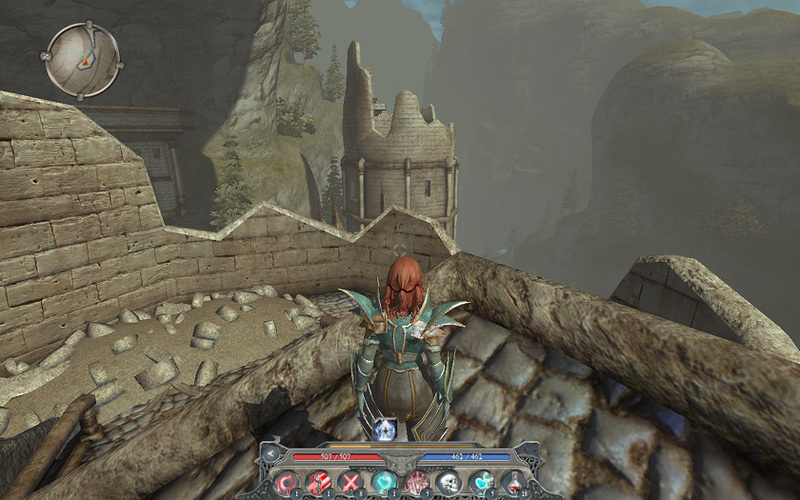 The Dragon form cant fly this high, so we have to do this jumping puzzle without cheating. This is of course, a reference to The Hitchhiker's Guide to the Galaxy. 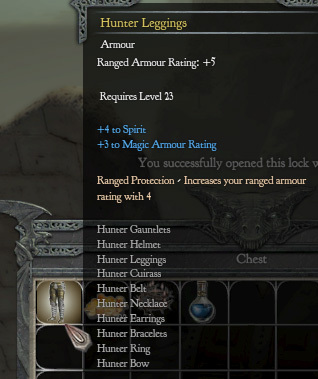 Inside the chest is the real prize  if youre a Ranger. 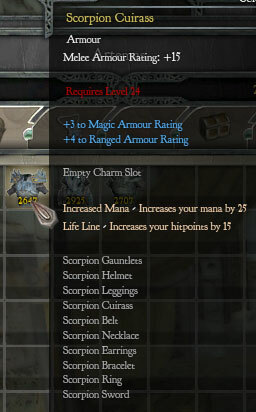 I upgraded the enchantments on the Leggings and Cuirass, and altered one on the ring. 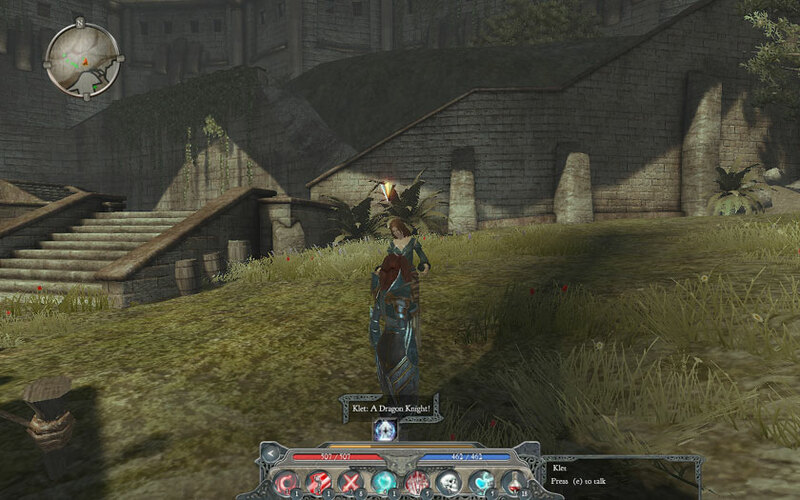 Why are you on the lookout for a Dragon Knight? We need your help, mighty knight. Only you can aid us! We have been waiting for almost five decades and now you are here, ready to free our lord! Why should I free him? Because you are of the same blood! It was about time someone gave me the respect I am due! No being, mortal or Divine, deserves higher praise, O winged master! We have been waiting for almost five decades and now you are here, ready to free our lord! Im guessing your brains are in the same state! No, great one, we never saw so clearly  now that you are here! 1. 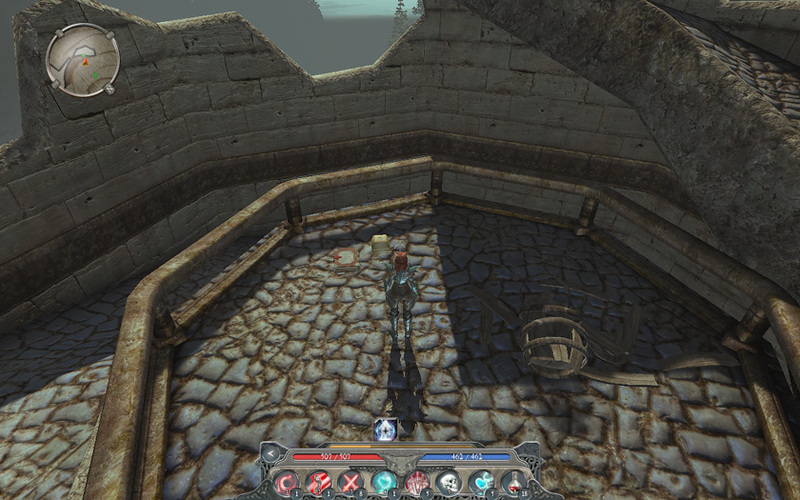 The Chalice of the Dragon lies in a Slayer encampment beside Champion Harbour. Those Slayers will see us as one of our own and not recognize us as a Dragon Knight. How shall we get it back? Note: Theyre all level 26 and nasty, so killing them right now could be tricky. Then again, when I tried, I was unbuffed and had no creature out. 2. Assuming we dont end up killing him, the head Slayer has a quest for us. 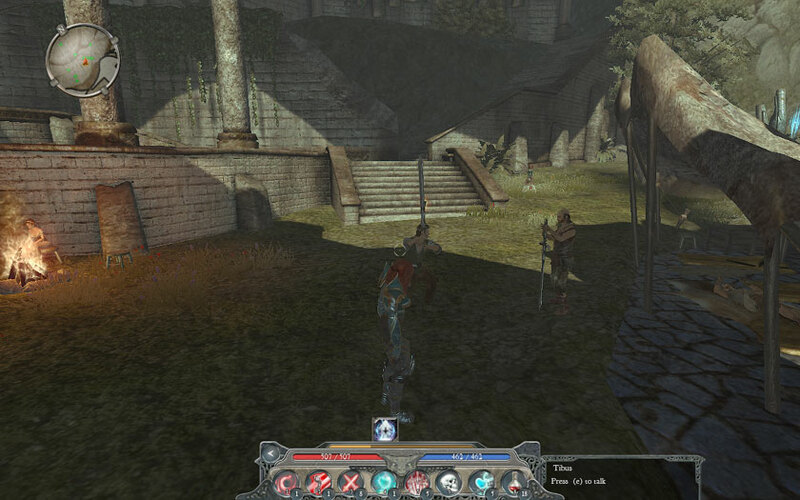 A Dragon Slayer is held prisoner atop the camp, awaiting a transport to the prison, but the head slayer wants us to execute him before the transport arrives. His crime was murdering another Slayer during a Goblin raid. The prisoner says hes innocent, and the dead man was killed by goblins. He also says that he was next in line for command after Kenneth, so the head Slayer framed him.